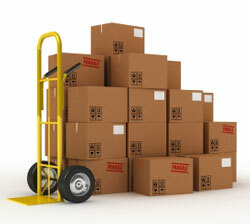 If you’re searching for professional help when moving in Roswell, GA, turn to Bulldog Movers. Moving can be a stressful time, and we strive to take your worry away by handling the job for you in a professional manner. We can help you move throughout the Metro Atlanta area, throughout Georgia, and all across the country. Additionally, we have won the Consumers’ Choice Award for nine years in a row and proudly hold an A+ rating with the Better Business Bureau. With accolades like these to our name, you can be sure that we will not only provide an exceptional move, but offer outstanding customer service as well. If you’d like to have Bulldog Movers provide moving services for you in Roswell, GA, or any other nearby community in the Metro area, please call or e-mail us today.